Engineers from MIT have developed a 3D printing technique that uses a new kind of ink made from genetically programmed living cells. What’s more, the team developed a model to predict the interactions between cells within a given 3D-printed structure, under a variety of conditions. The team says researchers can use the model as a guide in designing responsive living materials. Zhao’s team, working with bioengineers in Lu’s lab, realized that live cells might also serve as responsive materials for 3D-printed inks, particularly as they can be genetically engineered to respond to a variety of stimuli. The researchers are not the first to consider 3D printing genetically engineered cells; others have attempted to do so using live mammalian cells, but with little success. The researchers carried out a screening test to identify the type of hydrogel that would best host bacterial cells. After an extensive search, a hydrogel with pluronic acid was found to be the most compatible material. The hydrogel also exhibited an ideal consistency for 3D printing. They printed the ink using a custom 3D printer that they built using standard elements combined with fixtures they machined themselves. To demonstrate the technique, the team printed a pattern of hydrogel with cells in the shape of a tree on an elastomer layer. After printing, they solidified, or cured, the patch by exposing it to ultraviolet radiation. 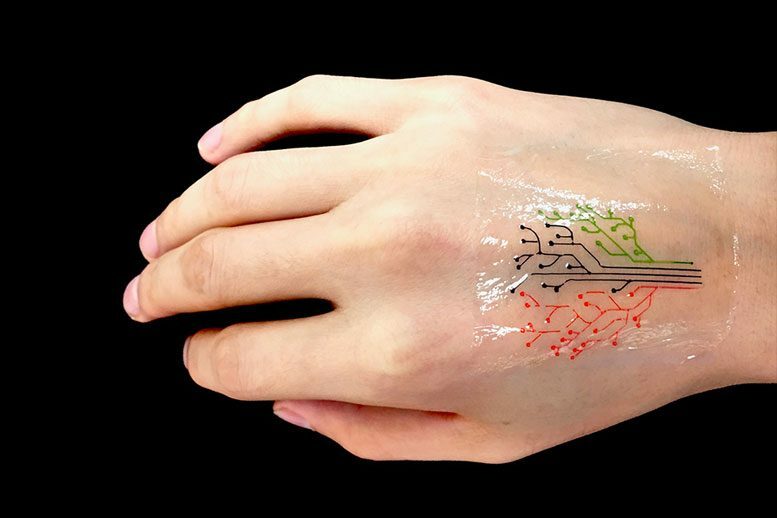 They then adhere the transparent elastomer layer with the living patterns on it, to skin. The researchers also engineered bacteria to communicate with each other; for instance they programmed some cells to light up only when they receive a certain signal from another cell. To test this type of communication in a 3D structure, they printed a thin sheet of hydrogel filaments with “input,” or signal-producing bacteria and chemicals, overlaid with another layer of filaments of an “output,” or signal-receiving bacteria. They found the output filaments lit up only when they overlapped and received input signals from corresponding bacteria . 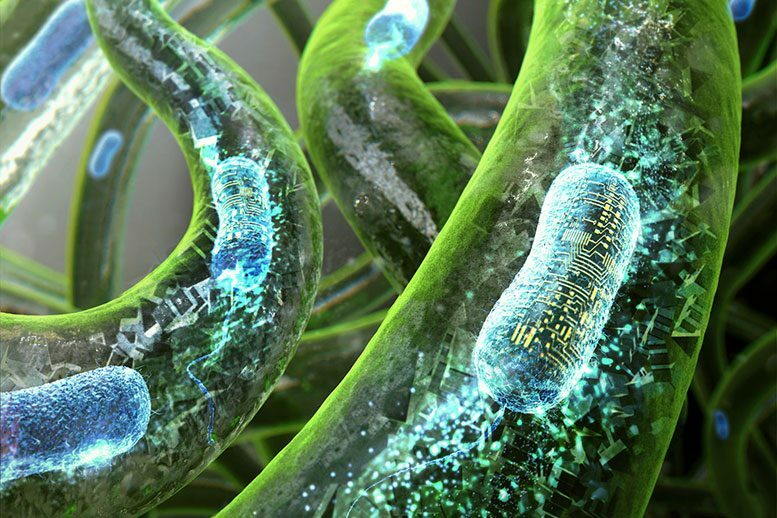 Be the first to comment on "Engineers 3D Print Programmed Cells Into Living Devices"